Gas piping installation, custom fitting, testing and repair. Brant Mechanical is your expert for gas piping extensions, leak detection, and gas line rerouting issues. 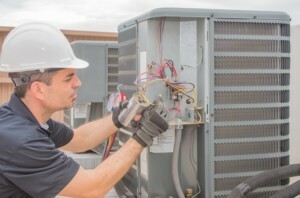 From installation to maintenance and repair, we provide top quality service for your business. Brant Mechanical service meets all of your gas-piping installation needs. Our trained experts will assist you in designing the custom pipeline and meter for your business. When what you have just isn’t enough, Brant Mechanical can extend or add to your existing gas pipeline to meet your needs. Need to change the route of your gas line? One of our trained experts will reroute your pipeline for you to where you see fit. Gas flow from the meter can be tricky. Brant Mechanical’s trained experts can provide proper custom upsizing to keep your pipeline and meter running as a cohesive unit. If you suspect a gas leak, contact Brant Mechanical to send a trained expert to investigate the pipeline thoroughly and make repairs as needed. Regular maintenance and inspection is vital to safety and planning. Brant Mechanical can provide an inspection to make sure your pipeline is up to current code and is working smoothly. HAVE QUESTIONS ABOUT GAS PIPING?